WREN was built on our patio in Chapel Hill, NC. It only took about 20 months longer then the 2 months I originally promised my wife. 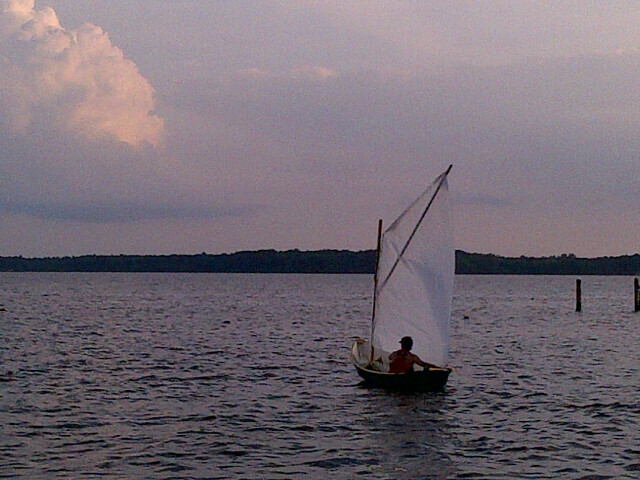 This was my first attempt at boat building and now I'm ready to leave my job as a nurse, head back to school, and figure out how to make a livelihood of it. 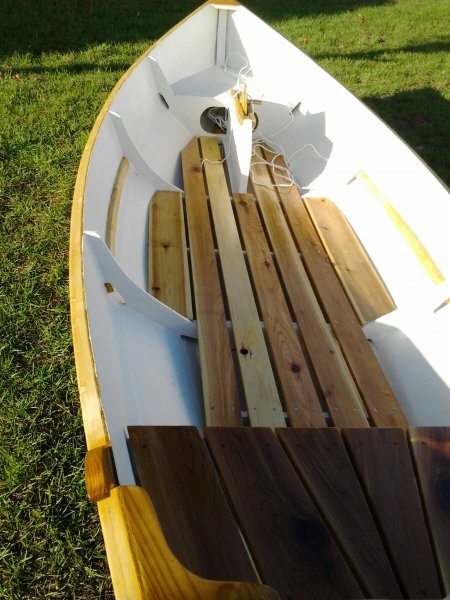 I'll clearly need to learn more respect for not changing builder's plans as the cedar floor and rear seat I made added an unexpected amount of weight to the boat making it fairly difficult to actually put on top of the car. 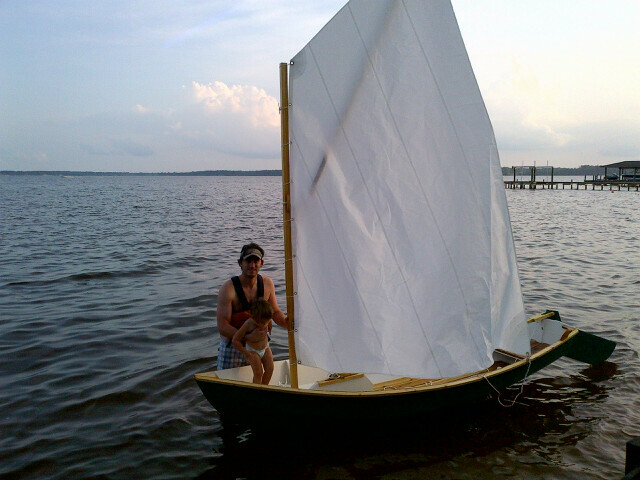 Though we live in Chapel Hill, Wren was first splashed in my home waters of the Pamlico River in Washington, NC, with my wife Kristin, 2 year old Ellie, and 2 month of Margaret along for the second voyage.